dining room seats eight, great for large gatherings. 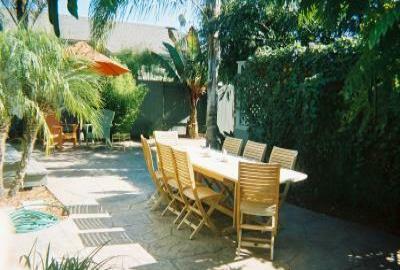 outdoor dining, seats six, pet friendly and fully fenced in yard. Close to restaurants, shopping, beaches, Ocean Front Walk. 23, World Famous ocean front dining.